On the night of Mitt Romney’s Florida triumph, it’s safe to say that the relevant audience was yet another billionaire Republican—this one with a soft spot for the lunar musings of one Newt Gingrich. As the political world knows well by now, it was a timely infusion of $5 million from Sheldon Adelson, the Las Vegas casino mogul and hard-core Zionist, that largely underwrote Newt’s South Carolina win. And it was another $5 million from Adelson that helped Newt muster a response, albeit vastly inadequate, to Romney’s punishing air campaign in Florida. Here’s why Adelson matters even at this late date: Newt is still popular enough with conservatives, and Romney still sufficiently unloved, that another $5 or $10 million haul would create more than a minor annoyance for the ostensible frontrunner in the coming months, a time when Romney would like to be training his fire on Barack Obama. Even amid his general evisceration in Florida, Newt still beat Romney handily among the Republican voters who consider themselves “very conservative” (42 percent to 30 for Romney) and strong Tea Party supporters (45 percent to 33), both of which accounted for about one-third of the electorate. The combination of that rump of support and the Adelson money could produce several victories for Gingrich on Super Tuesday alone, when voters in Georgia, Oklahoma, and Tennessee all go to the polls. Which is why, as he pulled away from Gingrich in the polls these last few days, Romney’s mission became less about winning Florida than impressing Adelson. Actually, the mission was twofold. First, Romney needed to win by a big enough margin that no one, not even the staunchest Newt dead-ender, could keep alive fantasies of a Gingrich presidency. 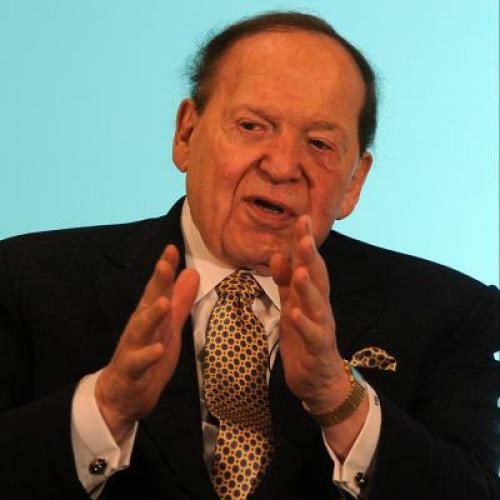 Second, he needed to persuade Adelson that he was “alright,” as the Vegas wise guys would say, when it came to Israel. Romney needed to make a play for Adelson’s head and his heart, in other words, either one of which could have moved the mogul to cut another check. But the biggest indicator of Romney’s success at sidelining Adelson may have been Gingrich himself. Gingrich’s face looked red and puffy when he emerged for his concession speech, like a man who'd just told himself he may have reached the end of the line, and who didn’t take the news well. His speech was even less coherent than usual, as though he was groping for a new game plan, knowing that the old one—the Adelson money—was inoperative. Whether Adelson had actually indicated as much, or Newt had merely surmised it, is probably beside the point. When even a guy as delusionally oblivious as Newt finally takes the hint, it's probably not something that needs to be said out loud.